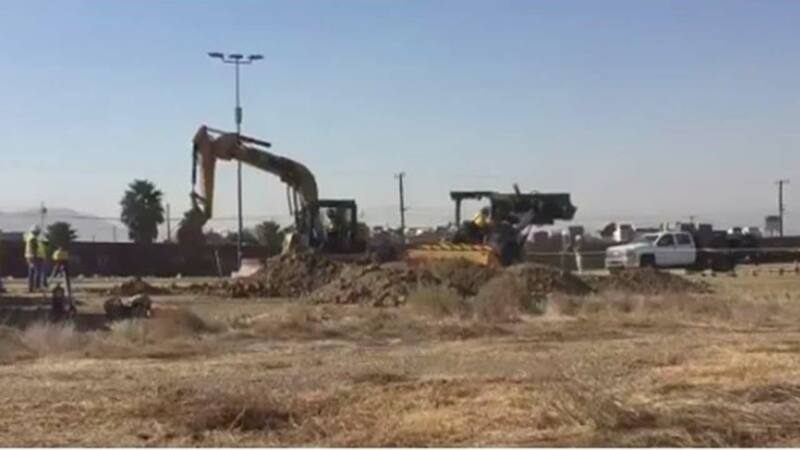 SAN DIEGO (KFSN) -- The federal government says contractors have begun building prototypes of President Donald Trump's proposed border wall with Mexico. The contractors are erecting eight prototypes in San Diego - four made of concrete and four of other materials. Construction will last about 30 days. U.S. Customs and Border Protection may pick several designs, or none. They agency says in a press release that the designs will inform standards for future construction. The prototypes will be up to 30 feet high (9 meters high) and 30 feet long. Construction is starting three months behind schedule after losing bidders lodged protests that were ultimately unsuccessful.